When he was five years old, the Swiss-born artist John Hafen (1856-1910) was brought to Salt Lake City by his family, where they all became members of The Church of Jesus Christ of Latter-day Saints (LDS Church). As an adult, Hafen helped found the Utah Art Association and established the art department at the Brigham Young Academy. He often chose to paint Mormon subject matter, such as these portraits of Joseph Smith (1805-1844). Joseph Smith was only twenty-four years old when he wrote and published The Book of Mormon, an Account Written by the Hand of Mormon upon Plates Taken from the Plates of Nephi [(WA) 2005-0197]. He became the leader of the LDS community, which settled in Commerce, Illinois. 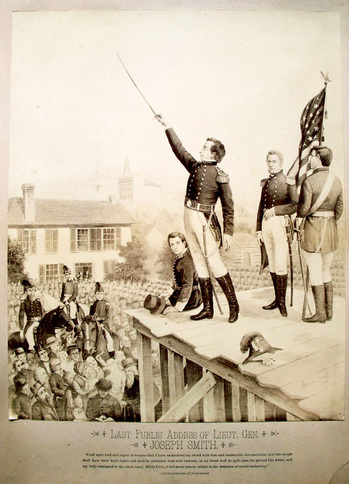 They renamed the town Nauvoo (meaning “to be beautiful”) and formed the Nauvoo Legion. On June 7, 1844, the first and only issue of The Nauvoo Expositor was published by several disenfranchised members of the Legion, criticizing Smith and his beliefs [(WA) F549.N37 xN34ae]. Four days later, Smith ordered the paper to be stopped and their press destroyed. 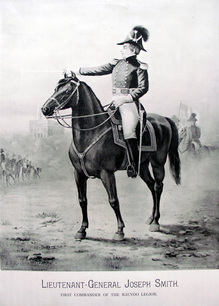 He then assembled the men of the Nauvoo Legion and declared martial law. Smith was arrested for treason and was taken to Carthage jail but on June 27, 1844, an angry mob stormed the jail. 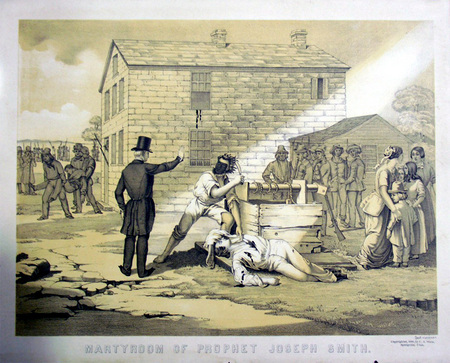 They killed both Joseph and his brother Hiram Smith. The remaining LDS Church followers united behind Brigham Young, who moved them to Utah, centered in Salt Lake City. This is where the artist John Hafen joined them in 1860s. These are some very interesting (my opinion) pictures of Joseph Smith. I must admit I have not heard of John Hafen before, but I like the two pictures of his above. The third picture is also a great one, but the Carthage Jail deaths were brutal.